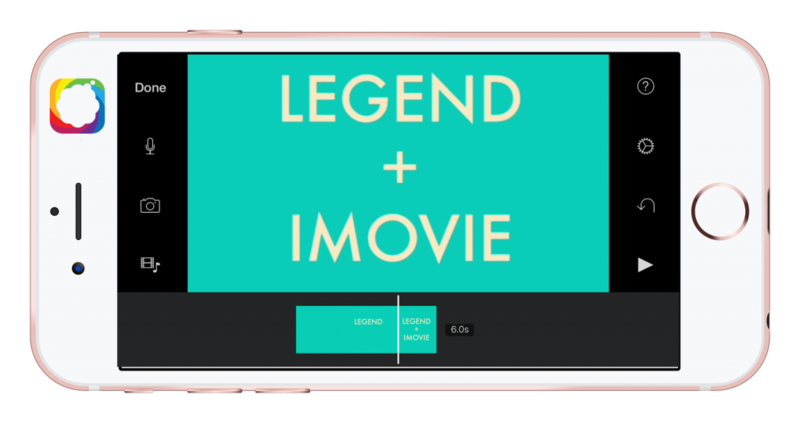 Legend + iMovie – Powerful App Combo for your iPhone Videos! It’s been over a year now since I went 100% iPhone with my explainer product video productions. iMovie, of course, has been key to this but their title slides are – #letsbehonest – both boring and overused. An amazing little app called Legend has been one of several apps that have helped me totally spice up my text animations and video intros (you can also save them as GIFs and insert them into your blog posts like I did right here). 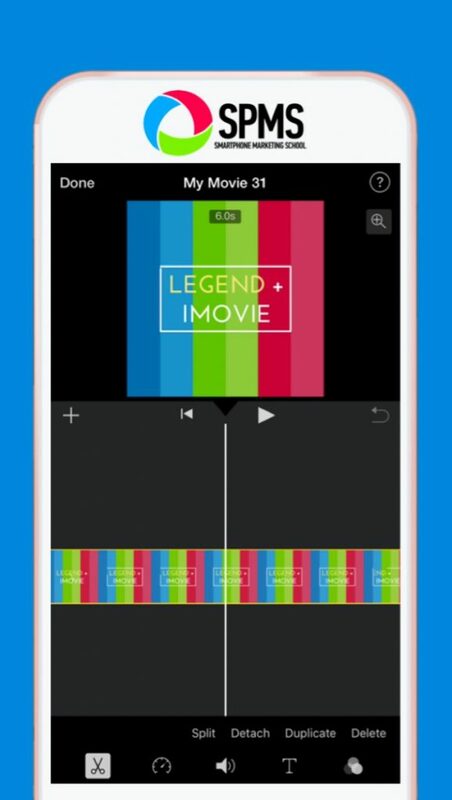 Although the Legend app only allows for square videos (as seen in the video below), there is a pretty simple workaround in iMovie for cropping your Legend videos to widescreen dimensions. However, keep in mind, the output quality for Legend videos (as of this post) is 720p – not your ideal 1080p. Once you crop it further in iMovie, you’ll lose some more quality. It’s not a deal-breaker for me, but it might be for you. Here you can see how the above video looks like in widescreen. It’s still ok, right? Although I love, love the Legend app, it is just one of my text-on-video go-to apps for my iPhone videos. 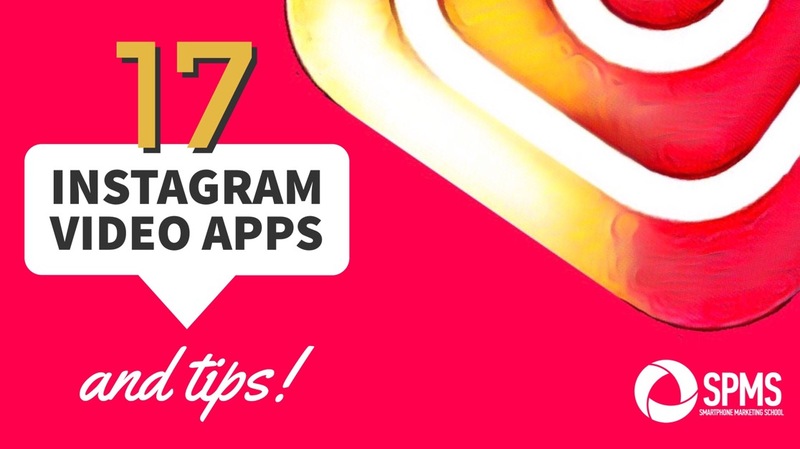 Be sure to grab the Smartphone Marketing School COMPLETE list of apps for adding text to your videos. It comes in Google Slides format so I can keep it updated for you with the latest apps I stumble across. Up your iPhone video skill level with my favorite text-on-video apps. Great! 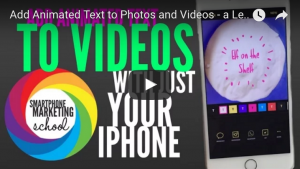 Now check your email to grab your list and check out some text apps that will totally transform your iPhone videos! 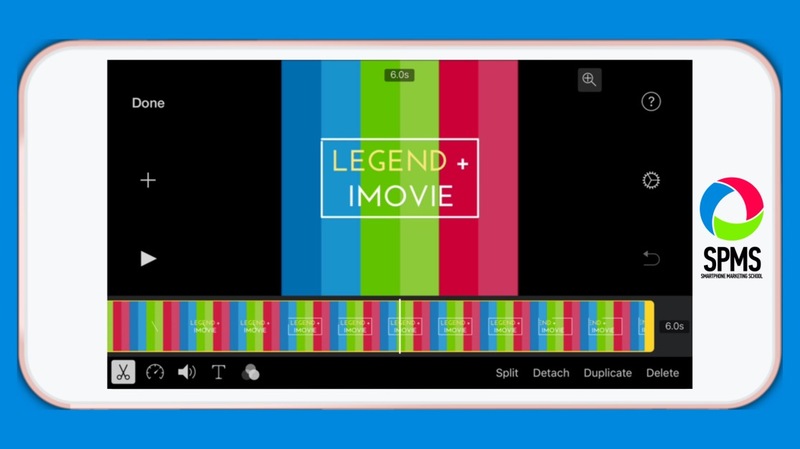 Want to make sure you don’t forget how to combine Legend clips and iMovie? Pin this image to one of your Pinterest boards (hover over for a pin button).